I have been sent/given a few things to trial recently and, after consulting the calendar, it felt like a reasonable thing to do to put them together as possible gifts for the gardeners in your lives at a forthcoming festival period that might begin with 'C' (or any other event you may wish to choose). I begin with these absolutely delightful gardening gloves from Gold Leaf. I have been a customer of Gold Leaf for many years. 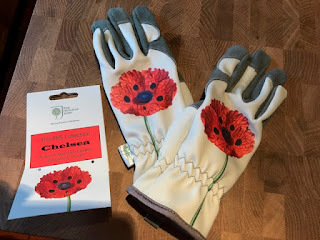 It is my general habit to buy my gloves from their Chelsea Flower Show stand. I am a big fan of the Soft Touch and the Winter Touch gloves, they are long lasting and fit well. I was drawn to these gloves as they had big poppies on them, which just happen to be probably my favourite flower. Once I had had a good look at them I realised that they were a cut above the usual 'pretty' gloves. Next up are these very pretty plant 'Cozies' from Keter. Next up is something more practical and if you know someone is thinking of getting a moss rake, then this is a good one. 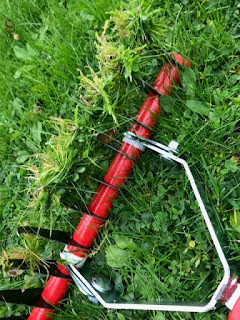 This is the moss rake from Wolf Garten. This is from their Multi-Change range, so it could form a 'starter kit'. When asked to trial this I deliberately chose the wooden handle as I thought it looked the nicest and it is also very comfortable to use. I am not the tallest of people so sometimes long handles can be annoying, but this one was fine. Best of all, it works. 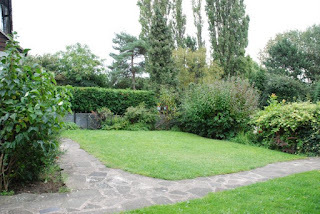 I garden on heavy clay and the drainage is often very poor. There are times when I feel I am growing the national collection of moss. 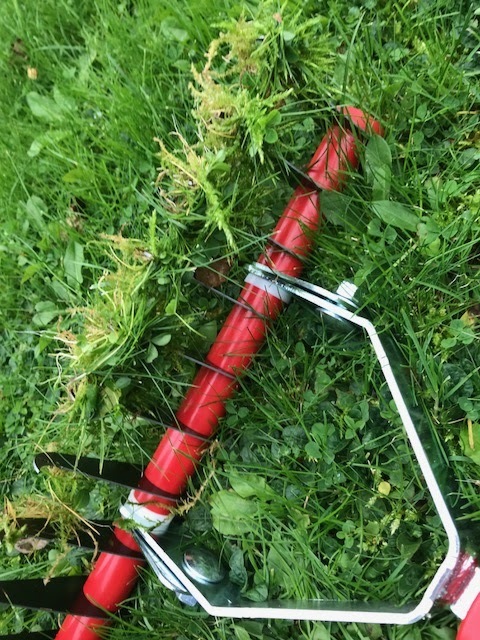 As you can see this rake is very effective. 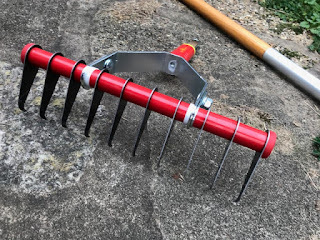 If you do know someone who is looking for a good collection of interchangeable heads/handles in garden tools then I can thoroughly recommend this one. 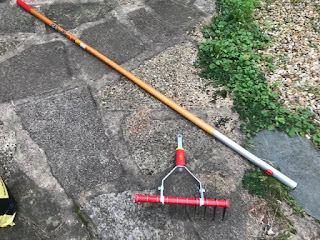 The moss-rake head retails at around £30 and the handle retails at around £23. Finally, there is the CarPet Pet Hair Remover. 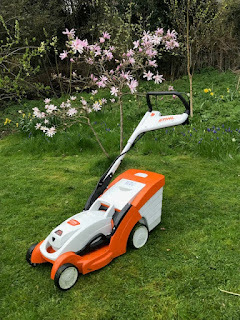 Now I am going to suggest that this might not be what you buy for someone else, but if you are a fluffy pet owner and you are expecting guests for Christmas though you might wish to consider treating yourself to one. As an owner of a cat or three, cat fluff is a constant problem and it does resist most efforts to remove it quickly. This rubber fur-collector works brilliantly. Yes I know I should not let the cats get on the furniture, but they are impervious to my wishes on this. The CarPet Pet Hair Remover retails at around £5. So that is my quick round-up of a few nice things I have found this year. Thanks- it might be worth you trying the gloves, my hands are small too. I got the CarPet remover from Glee as well - I think it’s great.